Spanish is a very widely spoken language and, in fact, there are 25 Spanish speaking countries around the world, not to mention the multitudes of other countries where huge chunks of the population speak Spanish. In fact, in the USA, Spanish is widely spoken as a first and second language and with the numbers of immigrants coming in from other Spanish speaking countries, it is estimated that Spanish may overtake English as the most widely spoken language there in the not too distant future. There are many different varieties of Spanish though, which are spoken in different areas of the world, and these are detailed below. Mexico boasts the largest number of native Spanish speakers in the world – more than any other of the Spanish speaking countries, including Spain itself. 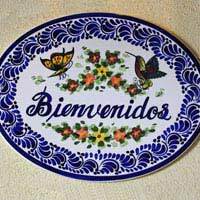 Mexican Spanish is also slightly different form other forms of Spanish. Speakers of Spanish should be able to understand and make themselves understood in Spanish but it is worth noting that there are certain words and pronunciations that do differ. Many other countries in Latin America are also Spanish speaking countries. These include Cuba and Argentina, among many others. People in most other Latin American countries speak Latin American Spanish, which varies again to Mexican Spanish, but is also quite similar. Again, speakers of normal Spanish will notice the differences but it is not usually enough to cause a problem. Even in countries where Spanish is not the official language, such as Belize and Brazil, Spanish is still spoken, either natively or as a second language, by massive numbers of the population. The Philippines is technically not a Spanish speaking country, but it was until 1987. However, most of the population never spoke Spanish at all. The last recorded data put the current number of speakers as around 2,500. However, Spanish is still an important part of the Philippines’ history, as it was the official language for four hundred years. Spanish is not as dominant in Africa as French and only Equatorial Guinea can be classed as Spanish speaking. However, Morocco, due to it's geographical closeness to Spain – just a few miles at the narrowest point of the Gibraltar strait, does have a lot of Spanish speakers, and there are two Spanish enclaves, Ceuta and Melilla, which speak Spanish. Spanish speakers in the whole of Morocco number about 20,000. Spanish speaking countries are many and varied and it is estimated that as many as 400 million people speak the language as their first language. Up to 500 million speak it as their second. It is a popular language and one that is always useful to learn, for it, along with English and French, is understood in so many places across the world. It also makes Portuguese and Italian a lot easier to learn as all three come from the same Romance family of languages. Spanish is a language that will always come in useful no matter where in the world you are. But if you plan to travel to one of the areas with a lot of Spanish speaking countries, it will be more important than ever. I, and many other Americans to be sure, greatly object to the claim in this article that "Spanish may overtake English in the United States". What balls!! That is a grossly erroneous claim that is not backed up whatsoever by any rational, empirical research. Hispanic America has an underhanded and insidious agenda to turn the United States into a Spanish speaking country, officially. Completely arrogant, pompous, and total WISHFUL THINKING !! If you want to live in a country that speaks Spanish officially, go back to your country - the United States is, and always will have English as its NATIONAL and DE FACTOeveryday language of the people !! Espanol no es un idioma mundial, porque solo es hablado en espana, las Americas y en un pequenito pais africano. El idioma espanol esta muerto en las Filipinas. Si, hay 400 milliones hablantes nativos de espanol, pero, 98% de ellos estan concentrados en 1/3 de las Americas. Por otro lado, el idioma portugues es hablado, oficialmente, en 5 continents - este es un verdadero idioma international. Spanish speakers have always had an grossly overinflated sense of grandeur of the language they speak. Spanish is only limited, officially, to Spain, 1/3 of the Americas, and a tiny country in Africa which you can barely see on a map. In the Americas there is also: Canada, USA, Brazil, and these 3 make up the other 2/3 of the Americas. On the other hand, Portuguese, as already been mentioned, is the truly globalized language, spoken officially on 5 continents, by 270 million speakers - sixth most spoken language in the world. I predict that Portuguese will overtake Spanish by virtue of the fact that the population of Brazil (205 million) and the Portuguese official speaking countries of Angola and Mozambique are experiencing phenomenal economic growth and population explosion. It is predicted that by 2025 there will be 450 million Portuguese speakers in the world - 300 million official Portuguese speakers in Brazil, and 150 million Portuguese speaking in the 6 officially Portuguese speaking ex-colonies. This is truly a world language - not Spanish. When the Chinese themselves are learning Portuguese in great numbers, and does TONS of trade with all of the Portuguese speaking countries, that tells you something. News flash.Portuguese is now, without a doubt, the NATIONAL language of Angola, spoken fluently by 90% of the population. And yes, Angola is in the top 3 strongest economies of Africa. This only strengthens the Portuguese language profile internationally. How do I know? Well, for starters, China is presently doing TONS of trade with OIL RICH (among many other commodities) Angola. Mozambique is not far behind.also officially a Portuguese speaking country. Macau, China, is now the Las Vegas of the world, they make much more money than Las Vegas. So what you say? Well, the Chinese are learning Portuguese as a second language like never before. Why? For starters, Portuguese is the co-official language along with Cantonese, and.China is present ly doing tons of trade with ALL of the Portuguese speaking countries (10 in all). When China is your big trading partner, needless to say, you are in VERY GOOD SHAPE linguistically and otherwise. Then there is East Timor, about 700km directly south of Macau, China. So what? The co-official language of East Timor is, you guessed it, Portuguese. Moreover, the Chinese are doing tons of trade with OIL RICH East Timor. God blessed most of the Portuguese ex-colonies. Most of them a natural resource rich and incredibly beautiful i.e., Brazil. Oh, speaking of Brazil, it is now the 5th strongest economy of the world. The 2016 summer Olympics will be hosted there. The official and national language there is, you guessed it, Portuguese, spoken by 100% of Brazilians. In case you don't know, Portuguese is spoken by 51% of the population of \South America. Hard to believe right? Try this on for size.Brazil occupies 48% of the South American territory - that's a continent unto itself! And of course there is beautiful Portugal, the crown of Europe. Never have I met 1 person who did not fall in love with Portugal. Tourists say that they much prefer the mild manners an friendliness of the Portuguese versus the temperamental and rude Spaniards. And the Portuguese Azores and Madeira islands. My god, those are the sub-tropical peals of the Atlantic. Ditto for the Cape Verde Islands (officially Portuguese speaking). Now many countries in the world want to join the CPLP (Portuguese speaking countries) - some have joined already i.e., Equatorial Guinea, and they even adopted Portuguese as a third official language. Galicia, Spain is next, then Senegal, and there are already many associate members such as Galicia (they already speak Galego-Portuguese), India (currently, former Portuguese colony Goa is undergoing a Portuguese language and culture renaissance there), Maritius, etc., etc. Look at a CPLP map and see for yourself how many parts of the world are either part of CPLP, or want to be a part of it i.e, Australia. Take the Lusofony games: Members of this are spread out across the globe - it is the equivalent of the Commonwealth games. Folks, the Portuguese language is exploding fast ALL OVER THE WORLD. Spanish will never overtake English. But.Portuguese will surely overtake Spanish! !Portuguese is the most spoken language in South America - Brazil encompasses more than half the land territory there. Portuguese is a huge language in 6 African countries, the biggest 2 being Angola and Mozambique. It is also spoken in Asia and Indonesia. And, there are tons of Portuguese speakers living all over the world.